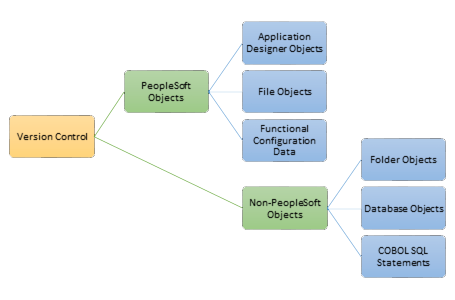 How effective is your organization at managing changes made to the Application Designer Objects, File & Folder Objects, Functional Configuration Data and DB Objects in your PeopleSoft application? CAPI is an end-to-end PeopleSoft Change Management and Version Control Solution that lowers your PeopleSoft total cost of ownership, competently manage the changes made to your PeopleSoft application and helps you to be SOX/regulatory compliant. Our Oracle Application Service offerings span the entire spectrum of PeopleSoft, E-Business and Fusion application´s lifecycle - from conception to solutions delivery, from maintenance & support to upgrades & enhancements. Based on our Global Delivery model, we focus on rapidly improving business performance, minimizing project risk and delivering application assets that are sustainable, affordable and predictable. Our unique as-a-Service outsourcing model offers talented people, proven processes and best practices, superlative standards and superior tools and methodologies – all packaged as a service – where you only pay for what you consume. With mcAMDOIS, you do not lose control over the outsourced activity – you get better visibility and control over it through our measurable, predictable and repeatable service delivery. mcAMDOIS Tech Solutions Private Limited (mcAMDOIS) is a company incorporated under the Companies Act, 1956 (No. 1 of 1956) with Ministry of Company Affairs, Government of India. We strive to deliver innovative, high quality and cost effective solutions to better manage your enterprise applications. Our process has been proven to be effective and predictable, thus minimizing risk and maximizing return on investment for our customers. Why Choose Our Products & Services? CAPI is built using PeopleTools technology; a technology you are already familiar with. 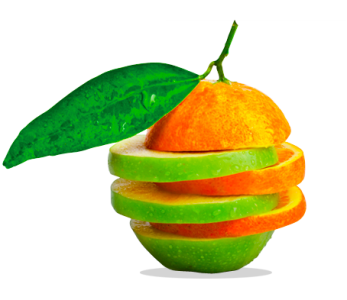 CAPI takes a holistic approach to PeopleSoft Change Management and Version Control needs and delivers several trendsetting and unique features which are not available in our competitor products. CAPI is backed with a world-class round-the-clock (24x5) help desk support; including extended support during the weekends. PHIRE & STAT customers - replace your existing ACM product with CAPI to avail special discount. CAPI´s Total Cost of Ownership (TCO) is a mere fraction of our competitor products. Total customer focus, commitment to quality, multi-technology expertise is how our customers describe us. Superior project management skills, continuous process improvement efforts, dedicated practice groups, adopting technological advancement, technology and industry experts constantly thriving to bring utmost value to the customer. mcAMDOIS’s outsourcing extends beyond just staffing. When you engage with mcAMDOIS, we are committed to providing more than a headcount – we share our knowledge, experience and capability. 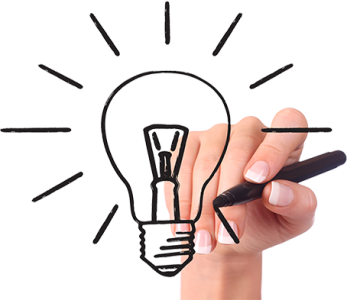 We add value to your business through our transformational thought process, innovative execution and impeccable work ethic. We respect your ownership of intellectual property, trademark, copyright and any other tangible or intangible assets that you are obliged to share with us and ensure that these are utilized only to get the best results for your business. With mcAMDOIS, you do not lose control over the outsourced activity – you get better visibility and control over it through our measurable, predictable and repeatable service delivery. Do you already use version control application for PeopleSoft? CAPI can help you to reduce the total cost of ownership by 50% to 70%. Sounds interesting...? Please Contact Us to request a no-obligation, detailed savings profile and see how much you can save by replacing the existing ACM application with CAPI. mcAMDOIS Oracle Application Services can help you save 1.5 times your vendor production support and upgrade fees. For example, a licensee paying $3M in vendor support fees will save $2M with mcAMDOIS each and every year. Sounds interesting...? Please Contact Us to request a no-obligation, detailed savings profile and see how much you can save by using our Oracle Application Services. CAPI Version 5.5 Build 1 Release 1 is released for general availability. CAPI Version 5.5 Build 1 Release 1 is certified to work with PeopleTools 8.56. Aisa's second ranked University based out in Singapore chooses CAPI as the Change Management and Version Control application for PeopleSoft. World's seventh-largest auto maker chooses CAPI as the Change Management and Version Control application for PeopleSoft. mcAMDOIS wins the Oracle E-Business Suite Annual Maintenance Contract from an existing customer based out in Kuwait. Top-rated wholesale supplier of commercial and residential plumbing supplies based out in USA chooses CAPI as the Change Management and Version Control application for PeopleSoft. CAPI Version 5.0 Build 1 Release 1 is released for New Customers. mcAMDOIS wins a website development project from a Multi-National Building Materials Distribution Company, headquartered in Switzerland. Asia Pacific's leading university renews the service contract. CIOReview chooses mcAMDOIS as one of the Top 20 Oracle Consulting Companies based out in India. mcAMDOIS signs an MOU with a leading university in South India. CAPI Version 4.5 Build 1 Release 1 is released for general availability. CAPI Version 4.5 Build 1 Release 1 is certified to work with PeopleTools 8.55.
mcAMDOIS added significant discernible values to our Oracle PeopleSoft Campus Solutions, HCM and Financials modules at our campus in Bangalore, India. When mcAMDOIS stepped in they were welcomed with a list of issues which covered the complete PeopleSoft HCM Application. Each and every page, record and element was to be reconfigured and redesigned to work dynamic irrespective of date, time and also making sure it fulfills our complete requirements. They did an awesome job of stabilizing the PeopleSoft Application System phasing out all our legacy / third party system. They were also able to quickly have the application integrated with our Oracle Finance Application. Before CAPI it will take us several days to prepare for migrating bunch of changes. CAPI´s release management had helped us to reduce this time taken from 5 days to few minutes. Replaced the existing ACM with CAPI. The total cost of ownership of CAPI is a fraction when compared with the earlier ACM.